The Tennis gods heeded my warning, couched in sarcasm, holding my own little glass of disquietude. Nadal finding Shanghai final form would be a huge surprise from my neck of the woods. It would have been wrong. Tsonga restored order, as he should, given where we are and who is involved. Shanghai represented a very deep field. If Nadal had managed to avoid elimination until the final, we should all have been surprised. If he had made the final, anything could have happened. I had a little fun with what could have happened. Of course, even if Nadal had overcome the Frenchman, Novak continues to look absolutely frightening as he continues to shape 2015 into an historical tennis exhibit, one for the ages. Even as Nadal going down to Tsonga does restore order (it’s one thing to make the final of a lower-tier event like Beijing; playing the final in Shanghai would be ludicrous in the shape he’s in, right? ), Yahoo Sports, among other “esteemed” sporting news sources, have this SF result described as Tsonga shocking Nadal. This is what I mean about the TSQ. It’s delirious; and that, in the end, is what I meant to continue to ride in my post last night, an hour before the SF. The Nadal narrative, both macro and tournament by tournament like the last month or so, is fairy-tale. I don’t buy it. Sure, I’m happy to recount some of his exploits to my son at bedtime, putting him into a nice little dreamy state-of-mind; but that’s about as far as I want to take Nadal. But I have something else in mind with the title of my post, today: What Could Have Been. Jo-Wilfried Tsonga. Although 2007 appears to be his first really active year on the tour and in the majors (he made the 4R at Wimbledon in 2007, losing to Gasquet in straights), we all remember him really arriving in 2008. Ah, yes. That’s what I revisited this morning. Last night, I managed to stay-up and watch the first set of the Tsonga/Nadal SF, which aired at about 2:00am here in California. I saw Tsonga break him pretty early in the first with a great backhand down the line, Nadal coming to net, the Frenchman fired-up. He held-on to the first and I fell asleep. I was pleased to see the result this morning and watched some of the highlights. Tsonga playing well is a great tennis watch. Such a natural ball striker from both sides, powerful, deep and his serve and volley is a definite class act. So I went and watched that 2008 Australian Open SF between Nadal and Tsonga. What an incredible display of confidence, clutch and skill. He beat Nadal 62 63 62. Nadal was sweating and glaring at his box by the fourth game of the first set. And Tsonga? 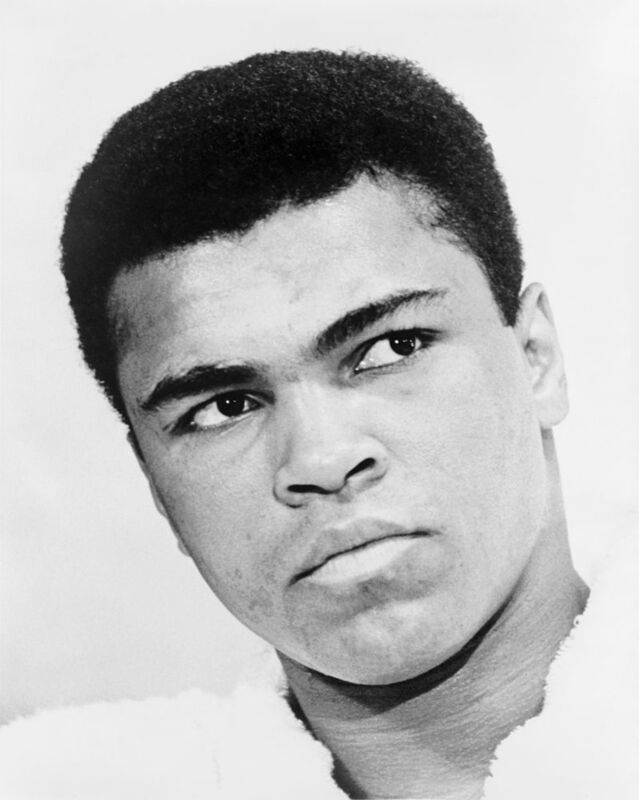 He was strutting around the court like Cassius Clay (do you remember those comparisons?). Tsonga was almost a twin to the great heavy weight boxer. Tsonga’s game was heavy weight. Watching him push Nadal all over the court and come to net to punish him with such a deft touch on the ball was a great reminder of what could have been with Jo-Wilfried Tsonga. He was 22 years-old when he smashed Nadal in that SF. Sure Djokovic beat him in the final (that was the beginning of Novak’s tremendous run). 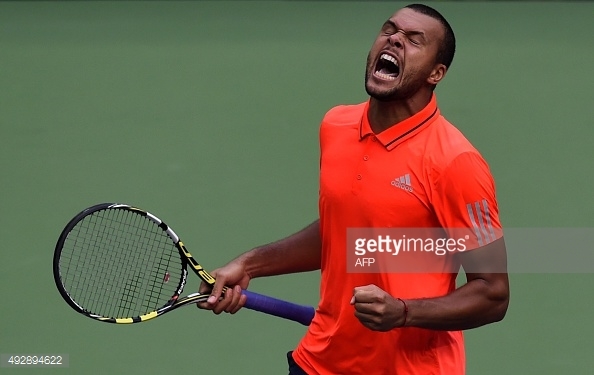 But we had to expect to see much more of this kind of greatness from Tsonga. And we haven’t. I naturally thought of the 2009 U.S. Open SF where Del-Potro destroyed Nadal 222. We had such high hopes for the 20 year-old Argentinian. Perhaps he can still make a return to the top of the tour. Perhaps. There are other examples, of course, of this kind of young talent that doesn’t quite find its potential and develop a more consistent game. Consistency is the key, ladies and gentlemen. Happens in all sports; happens in life. But what a great display of big-time tennis, full of youth and class. Watch the match. The difference in styles is remarkable and why Nadal’s game just does not appeal to me or, I think, many tennis fans. Tsonga’s full-court range, his ability to flatten shots DTL, cut the ball, come to net, devastate with that FH, just a great all-around game, not to mention his confidence that was just brimming at 22. What an athlete. On the other hand, Nadal is playing his clay court game that consists of running everything down and using huge top-spin to keep the rallies going, waiting for his opponent to make a mistake, and succumb to the endurance and pressure. I will note that Nadal did develop a bit of a net game, which he used pretty effectively (this, no doubt, was part of Toni’s master plan. If you’re going to win Wimbledon, Rafa, you have to come to net – Rafa finally won Wimbledon that summer of 2008). But Rafa’s game was/is all back court, all spin, all fist-pumping scowls, etc. Tsonga was the real deal. Seeing that he’s back in a 1000 final is good news. What could have been. In closing, I have to ask: why didn’t Tsonga find a consistent game? I am drawn to the discussion of player support. I’m not sure what Tsonga’s life is or was like in practice, at home, etc. I would suspect that his “management” hasn’t been the most structured, that his “handlers” haven’t been so “hands-on,” if you know what I mean. From coaching to other support, we know how important this can be to a player’s success. Think of how Nadal has been managed. It’s tennis lore how Rafa has been marketed and managed to the extreme. Everything about Rafa is tight, from his tennis outfits to his tennis inner-circle. What other player has such an insular team experience? It’s La Familia. He’s an island. He’s from the island of Mallorca and his tennis management has been quite island like. Even Novak hasn’t had this kind of protective insularity in his camp. But, still, his tennis speaks to the importance of finding good support. Becker has been a great fit; I think we’ll all agree on that. What if Tsonga had had better support? Would it have made a difference? Anyways, good luck to Tsonga in his final against Novak. May he fare better than Murray. Jo’s story is a long and convoluted one. He had frequent injuries, then, after the AO 2008 and a successful 2008, he changed under the impression that things will continue that way. So, a few anecdotes, to help you understand. Eric Winogradsky was fired because he insisted that Jo had to lose weights, and focused on developing his BH, a shot that was already a weakness by then. Jo never watched matches of opponents, but Winogradsky had to prepare the match strategy by himself. Rafa and Jo almost came to hands in Monte Carlo. Rafa has the habit to hit very hard in sparring, to intimidate his opponent (and he never forgive Jo the humiliation from the AO semi). Jo wasn’t impressed and he reacted hard. Since then, their relationship is…idyllic. We could see it when they shook hands today. So, Jo made his own fortune. He had the potential, but didn’t work hard enough for years, and when he finally started working hard, his team — the physio, the fitness coach — weren’t good enough and he was often injured. Now, with Escudé, he finally plays well again.. But you never know with him how long it will last. In the end, sounds like his team didn’t succeed. That is critical as I think your anecdote illustrates. Player and team have to cooperate and the team has to be solid, smart, etc. Too bad that didn’t work-out. I’ve always liked watching him play when he’s on. 2011 Wimby QF was an odd match, watching Rog collapse and Jo keep charging. The HC/grass oriented game is a fun one (basically all the best players of all time). Rafa’s a clown. I like Jo even more now hearing about that conflict. The players that stand-up to Rafa can deal with him (Jo, Stan, Novak, Soderling, et al.). You basically have to say F-U to Rafa. I’ve said it for awhile now: he has bullied the tour. Unfortunately for him, we don’t judge greatness on H2H. Some fans and blogging fanboys have this misperception. It’s too bad because you sound like a fool when you play into this Rafa-ism. Rafa never forgave him that beat-down. Ha ha. It was a genuine beat-down. Thanks for the insight, my friend. The final became a typical procedure since Tsonga’s service and net play were clearly not up to the task+his backhand weakness was exploited(especially in the first set). Pity, since his style can exploit some of Djokovic’s style weaknesses. The surface in Paris will suit him better, I guess, but I wouldn’t bet against Djokovic. The rarity of power players in the top level of the tour is indeed perplexing for an age that promotes physical play-after Del Potro’s disappearance. Is it just coincidence or the style is too injury-prone? Thoughts anybody? Wawrinka, Cilic, Murray, Anderson. . . inconsistency seems the case with many of these blokes. Roanic, Isner. . . there’s power but it’s either 2nd, 3rd tier or just not very consistent. Roger changed the game, Novak evolving the game even more. Nice post, Matt. Very pleased to read a few lines about Tsonga and Del Potro, two of my favorite players, game and personality wise. Love to watch Jo-Wilfried when he’s on fire. Jo-Wilfried has a bit the same way of moving his head and body like Mohammed Ali; the resemblance was very striking to me for instance (in the video of your post) after winning the first set in that SF-beat down of R. Nadal at the AO 2008. His game is build around a powerful first serve and a marvelous forehand, supported by remarkably nimble movement for a man of his shape (lightheavyweight), and the ability to make the toughest of volleys appear ridiculously easy, or to jump high in the air to smash the overhead shot when needed. Tennis excellence à la jo-Wilfried Tsonga, the other end of the tennis spectrum. Putting stress on your opponent by relentlessly attacking the net and frustrating them with your deathly put-away-volley’s or your jumping overhead smashes, as opposed to excellence in defense on top of or around the baseline, in which Novak is the greatest of all. I like Tsonga’s style of play a lot though and his charismatic and humble personality, and I think many fans do. Unfortunately Tsonga is not very consistent, sparkles at one tourney and fizzles out at the next one, but that’s not completely surprising to me. This attacking brand of tennis is difficult to sustain in the long run, and it is not only putting stress on the opponent’s game but also on the player’s own body. Ain’t it Federer himself who said once in an interview (in Belgium I believe) that moving back- and forwards -from the net to the baseline and vice versa – is more exhausting than the sideways movements at the back of the court. If it is so much exhausting for a lenient guy like Federer, it sure must be for the slightly heavier Tsonga. Perhaps Jo-Wilfried didn’t put the extra work load in his training sessions to prevent his slightly heavier body from getting injured during matches ? Other fans (Mat4 ? ) who possibly have followed him more closely, can offer maybe other explanations for Jo-Wilfried not accomplishing what he should have accomplished. Wilfried, Trigg provided some insight about his camp, early career. With out even knowing that, you can suspect he just didn’t have the team. Injury is a problem (potentially) for anyone. Have to have an infrastructure to deal and move forward. Tsonga showed so much promise. Really too bad. And good point about court movement. The side-to-side is an inferior brand of tennis. D-Po is an even bigger loss. Wow. Talk about promise. The sport has suffered with out him, no doubt. I’ve always loved watching Tsonga. His game, at its peak, is such a great advert for the sport. I have never met anyone who doesn’t like Tsonga, because off the court, he seems to be a humble and nice guy. You can see that at the end of matches in the way he shakes hands at the net. It’s sad that he has lacked the discipline and the resources to fulfill his potential. Still, his like have their place in history (Mecir, Safin, etc). I just came across an astonishing stat from the Djoker’s match with Isner last week. He won almost half of Isner’s service points! And broke him 4 times of course. I have never seen anyone do this to Isner. EVER! Were you aware of this? His play right now is unreal. He is developing his game quickly, it appear, while it looks like everyone else is standing still, or actually regressing. End of the year could have something to do with it, players are burned-out, etc. And he loves the Asian swing. If he blows through the final 1000 and WTF, we’ll all be pretty awe-struck. Agreed. Next 3 weeks or so ought to be interesting. I think Roger wins in sheer “makes your jaw drop” quality, but the Djoker’s pretty impressive too. Note that Djokovic’s video only has stuff from before the FO, so maybe it isn’t a very good comparison. Thanks for the links, Utsav. I saw this on Tennis.com but didn’t watch. Will do.